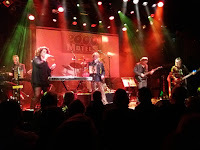 Tribute bands are no longer an exception in the program of venues. They come by in all shapes and seizes. 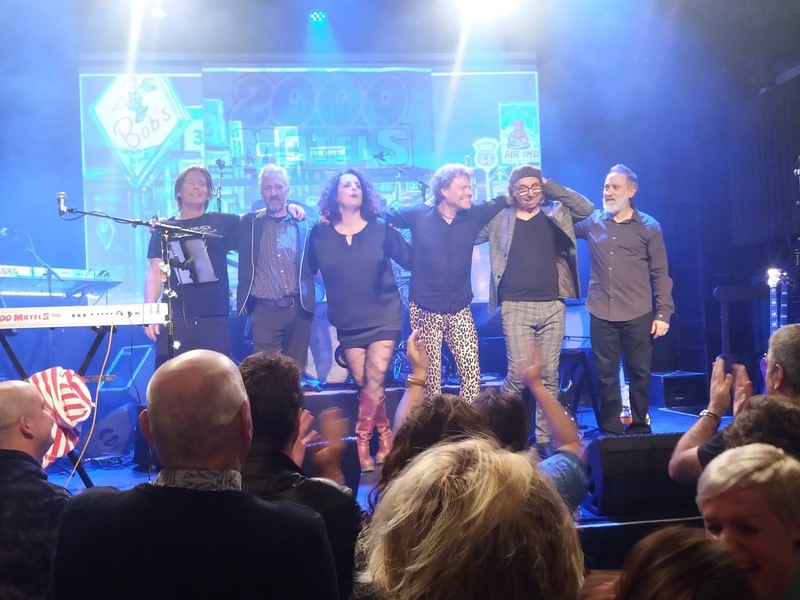 International touring bands, sort of endorsed by the original, bands in which no original member is playing but the name continues on, there is The Analogues of course, bands that are more or less cover bands and everything in between. 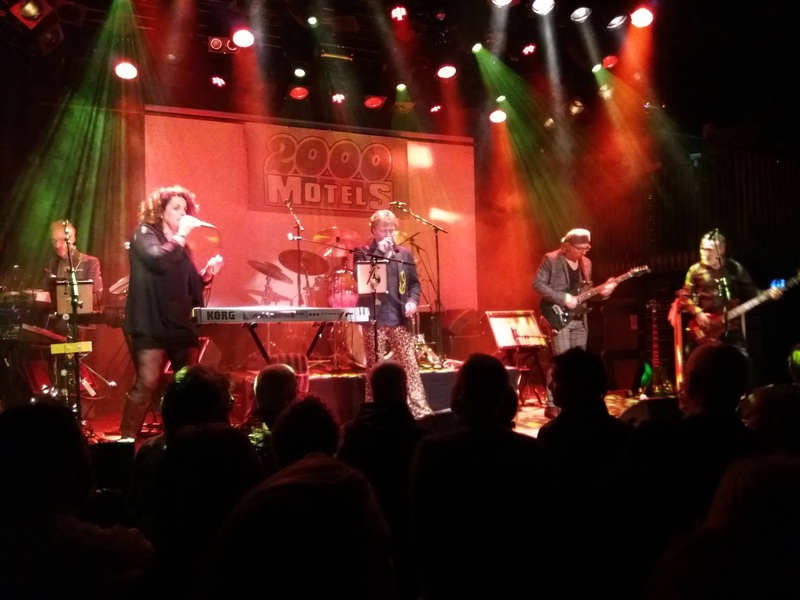 My first show in 2019 was with a Frank Zappa tribute band called 2000 Motels. It was years since I played most of my Zappa records. With the exception of 'One Size Fits All' all records by Zappa remain in their allotted, alphabetical, chronological order in respective shapes and sizes. That fact was not keeping me from going. Zappa live? Yes, in 1980 and 1982 in Ahoy, Rotterdam. I remember the more negative experience strangely enough. The man kept playing guitar solos in 1982. There was just no end and they all sounded the same. Everything he did was an excuse to "take it away" or he was the conductor waving his baton at the band, leading them through all the complex parts. Not so with 2000 Motels. Here it is the singer who created the band around him. 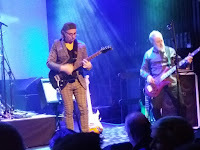 Of course there were some nice solos but the songs of Zappa stood central here and not the compositions or the improvising side of Zappa. Hence it was easy to have a good time. It all started with 'Can't Afford No Shoes'. I certainly can not sing along to all Zappa songs, but this one I know by heart. It grabbed me immediately and brought me into the mood for this show. The blues-rock song from my favourite album, yeah! All sort of different songs came by from the 60s to the 80s. 'Uncle Remus', 'Sharleena', 'I Don't Wanna Get Drafted', Zappa's greatest hit, #3 in Sweden -Wikipedia tells differently: #1 in Sweden and Norway with Bobby Brown in 1979-, 'Let's Make The Water Turn Black' just to name a few. The intro to Gruppo Sportivo's(!?) 'Superman' came by. What 2000 Motels managed to show was how diverse Zappa's oeuvre is even without going into the heavy stuff. Even the most simple songs are adorned with all sorts of complexities, rhythmic oddities, etc. For an at heart four piece instrumental band, impossible to copy. No percussionist, no second and third guitarist, no horns, no five different singers. 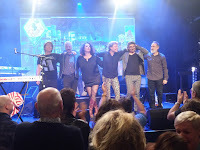 And that brings me to the weakest part of 2000 Motels, mind this is written with a lot of respect for Wouter Helmink and Olga Meijer, there is no way one band can even loosely emulate the diversity of voices Frank Zappa let loose on the world. Let alone the, well almost, weirdest one of all: his own. Ray White, Ike Willis, Napoleon 'Murphy' Brock, George Duke, Ray Collins and all those others. To their credit the two singers of 2000 Motels are who they are, don't pretend to be someone else and do a great job. The Zappa groove in the instrumental parts/solos comes across so nicely. Drums and bass get into the groove with obvious pleasure. 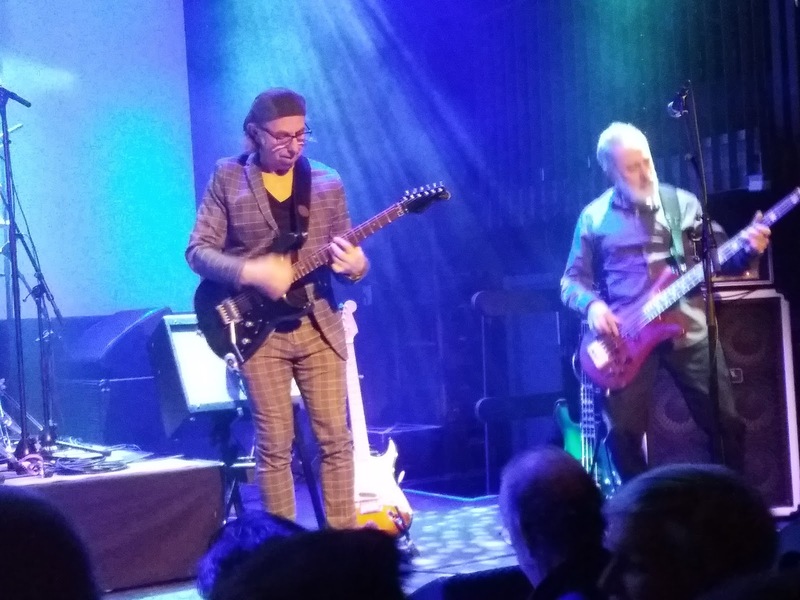 It is guitarist Jan van der Veen who takes the spotlight most with his recreation of Zappa's solos. Playing them with obvious delight and such a strong sense of timing. I really admired that. Adding it all up, 2000 Motels certainly comes out the right way. If you're a Frank Zappa fan, do not hesitate to go and look at 2000 Motels. The band does great and those small setbacks like not having a Frank Zappa baritone, are easily over won. Yes, I did really and truly enjoy myself. I even took out some of my old LPs this week.